Excessive humidity inside buildings is not comfortable or fun. It’s even worse; the higher moisture levels damage the structure and surfaces or your property. Furthermore, it’s highly susceptible to dust mites, mould, and mildew which can cause severe health problems to the occupants. Thus, supavents or whirlybirds are a must to keep hot stale air and moisture away from your property. And, KWR Roofing is here to help you. At KWR Roofing, we offer a huge range of whirlybirds Brisbane or supavents for your roof. We employ only trained and highly skilled professionals to do the job satisfactorily. Our lightweight and high-quality supavents or whirlybirds will give you long-lasting comfort and peace of mind. A Whirlybird roof vent removes heat and moisture from building through roof spaces. These are suitable for the metal as well as tiled roofs of any colour. They are cost effective as they require no running or maintenance cost. In winter, supavents will remove moisture-laden air which causes mould growth. The steady flow of air through whirlybirds Gold Coast replenishes oxygen levels in the indoor air, creating a fresh and clean environment. Why Pick Us For Your Whirlybird Installation? Being a team of experienced roofers, we know the importance of quality whirlybird installation and use top material to increases the life of roof vents. Each member of our team is fully licensed and insured. We also provide a warranty for our craftsmanship and guarantee for our quality installation. You can call us anytime! Our expert tradesmen are available 24/7 to answer your call. 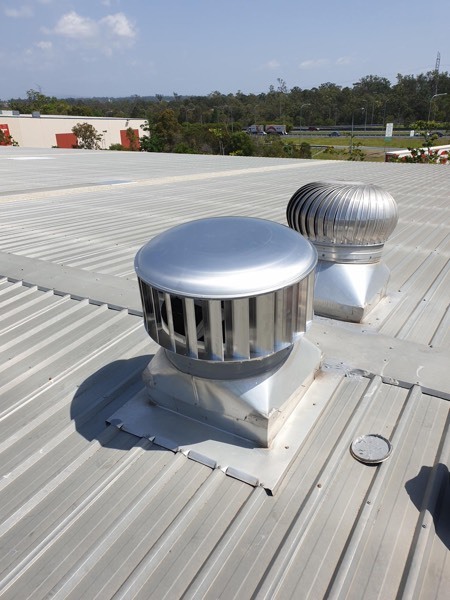 We can reach you in the shortest possible time in case of an emergency related to roof vents. Our inspection team will inspect your roof from all corners of the building to give you the best idea regarding the right placement of supavents. Also, we will notify you regarding another roofing problem in your home or business space at no cost.